You probably see no blue nor brown here. 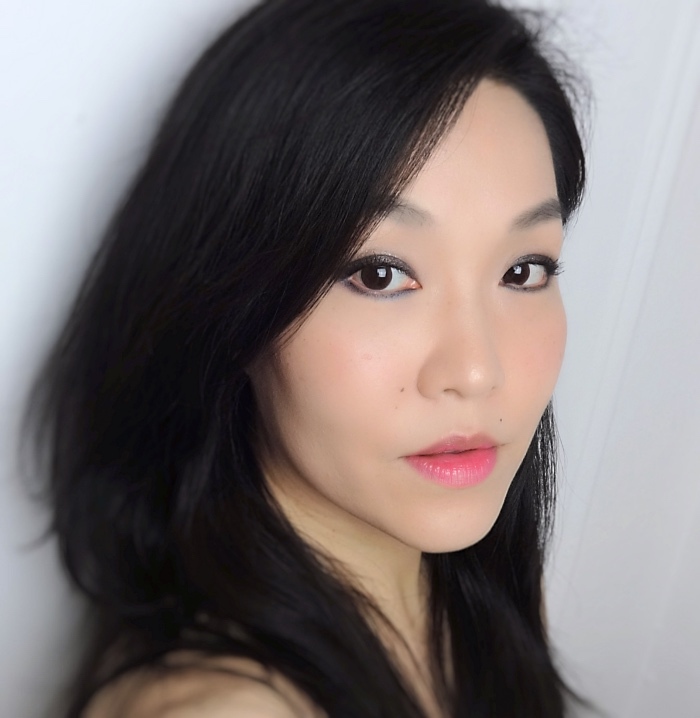 This is a sort of signature look for me - smokey eyes, pink cheeks, and pink lips, and it is very easy to achieve with this old(and discontinued) Yves Saint Laurent Pure Chromatics quad in 03, which has equal parts of blue and brown. I have been adventurous with makeup colors trying out different warm-toned shades and some latest trends like reddish eye makeup, but this is my go-to look on a regular work day. 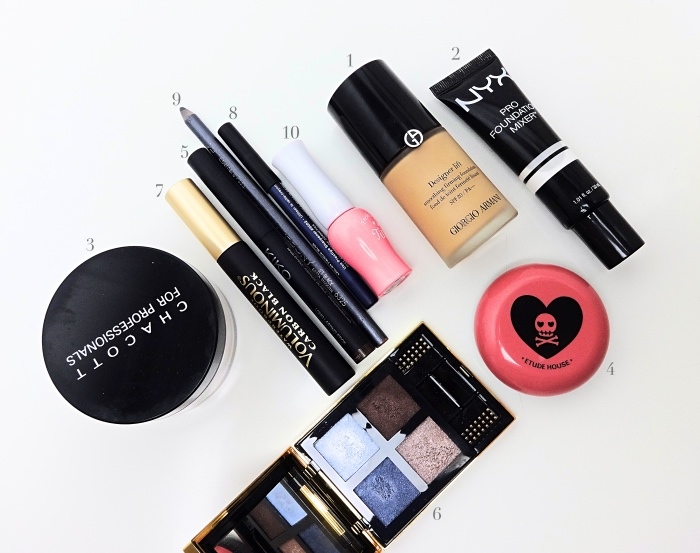 Here are the products used for the look. 2. I bought this foundation mixer from NYX. It works like a charm. I will review it soon. 3. Chacott powder is my long time favorite. It is probably the mother of all silicone powder. It is affordable and great quality. It comes in different shades as well. I highly recommend it. 4. I have been wearing Etude House Pink Skull blushes a lot lately. Skull Rose is a reddish pink and this is how I wanted NARS BLKR 413 to be. 5. KIKO Long Lasting Stick 39 is a cool deep brown. It is a great color for a base but isn't all that long lasting since the formula is on the wet side. I still need an eyeshadow primer. 6. YSL Pure Chromatics 03 (still avail on eBay). All shades are beautiful and I just slap all of them on and blend out using MAC 217 brush (why did I wait so long to get one for myself..?!). 7. L'Oreal Voluminous Carbon Black waterproof mascara. A staple for me. 8. Prestige Total Intensity Eyeliner in Fierce Blue was used on both upper waterlines and lower lash lines. 9. Ebony drawing pencil is what I use for my brows every day. One more FOTD in a slightly different angle. Hope you enjoyed this look. 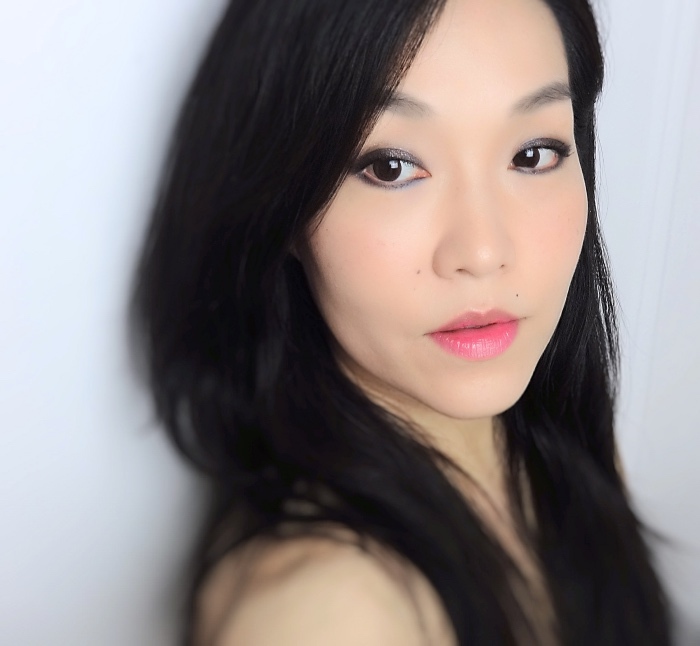 As I disclosed earlier, I am trying to do standalone look posts more often using not-so-new makeups. If there is something I reviewed a while ago that you'd suggest for another look post, feel free to let me know. I could use some inspirations. I never wet my eye shadows too. It's just an unnecessary extra step! You always look gorgeous with your smokey eyes, pink cheeks and lips. And you carry blue so well :-) Yes to stash shopping. It's great to rediscover old stuff, and makes it easier to give away products we don't love anymore, I think. It's great that you were able to make use of this quad. The colors are gorgeous! I can see why this is a go-to type of look for you because you really pull it so well Lena! Your fair complexion really complements these cool tones as well. Thank you, Rowena! <3 The quad is still in good shape and I think I will appreciate it for a long time. My complexion has always been on the lighter side but got a bit paler after a year of brightening skin care regimen. The tone itself has become warmer compared to when I was young, which is interesting. Man, I love the dryish formula of the old YSL Pure Chromatics. Sometimes I want to track some of them down, but I usually talk myself out of it. Then comes posts like this which fan the flames of my desire once again! I loved how you used these colors. I've only had one of the new ones - Saharienne - and I dunno, I was let down. It was silkier and more finely milled, but I feel like that took away from the finish; the colors looked way more flat and ordinary. I recently saw an LE one at CCO store that swatched really well though! Great pigmentation. But still not that dry, almost sandy texture.